The Portwest KS18 Granite shorts are stylish, practical and the ideal choice for warmer weather. The use of high quality polycotton fabric offers the comfort and durability necessary in today’s work environments. Tuck-away holster pockets made from rugged nylon oxford are perfect for tools. 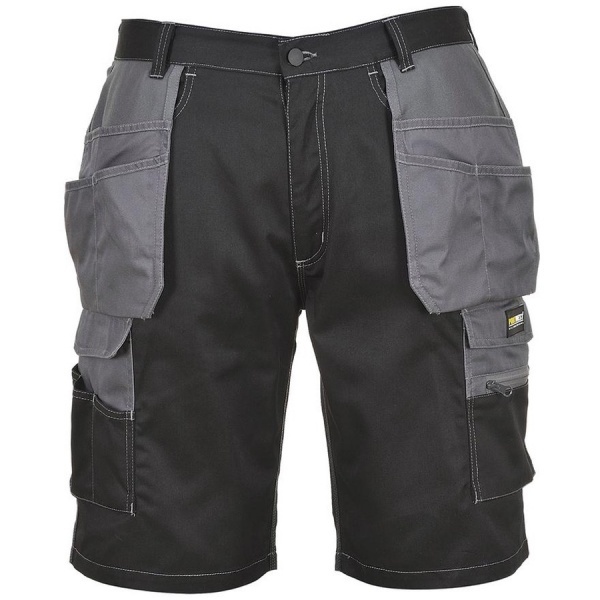 Other multiple pockets offer secure storage and accommodate smart phone dimensions.